Brothers Furniture Ltd is a name that is synonymous with quality modern productions; our professionals have a combined experience with furniture productions of over three decades. Their technical skills and experiences are not only limited within the territory of Bangladesh, rather it has broadened throughout the whole world. The sales and decorating staff have only but one mission to assist and help you become a satisfied client. We are dedicated to provide you with proven expertise with your fabric coordination and finish selection. Our production coordinators strive to have a quality product produced in a timely and efficient manner. In the unlikely event a defect is found, your complete satisfaction in quality and workmanship is guaranteed. Increasing demand for our wooden home furniture office furniture, door, mattress and hospital item. We are one of the very few among Bangladeshi furniture manufacturers experiencing export business which gives us opportunity to achieve an international quality. Brothers Furniture Ltd guarantees you two things: First, our prices are guaranteed to be the competitive most. Second, we guarantee your satisfaction in quality and workmanship. 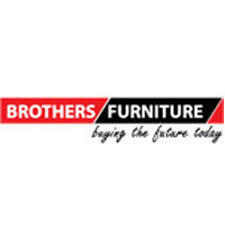 Current Jobs in Brothers Furniture Ltd.